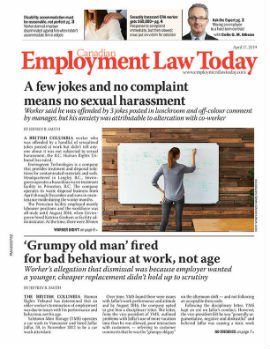 An Ontario employer constructively dismissed a senior manager when it shifted him to another position with the same pay but no defined role, the Ontario Superior Court of Justice has ruled. Harry Jodoin was hired by Nissan Canada in November 2000 as a district sales manager in Montreal. His employment contract included a provision that stated “as part of your long-term career growth, the possibility of transfers to other locations does exist.” Four years later, he was promoted to marketing representative manager and moved to Toronto, where he obtained the highest rate of program completion for Nissan in North America. Jodoin was promoted again in 2007 and became a national fleet manager. His job title was changed in 2009 to senior manager, retail sales and sponsorships, where he managed Nissan’s advertising in both English and French, as well as oversaw Nissan’s sponsorship programs with the Canadian Football League and Cirque du Soleil. In addition, he oversaw Nissan’s participation in auto shows.